Maybe like me you fondly remember those British black and white Alan Class collections, often reprinting stories so many times that the artwork was starting to disappear. 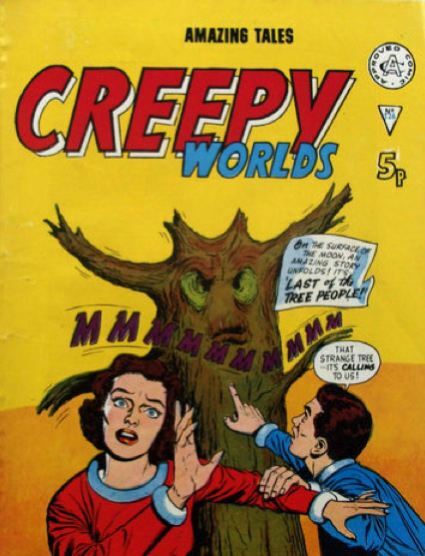 They would come with almost interchangeable titles, made up of some combination of Astounding Creepy Suspense Tales from the Amazing Unknown Worlds Beyond! For thirty years until 1989, they were a cheap way for British kids to get hold of lots of pages of black-and-white American comic books, including Marvel’s new superheroes, in their local newsagents. 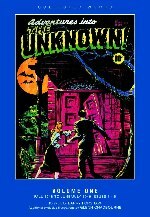 Some of my favourite mystery tales in them originated from the American Comics Group (ACG). 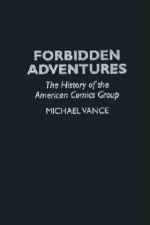 In his virtually unnoticed 1996 book Forbidden Adventures, Michael Vance charts the business and creative history of this modest, feisty outfit from 1943 to 1967, inextricably linked to its visionary editor and principal writer Richard E. Hughes, who wrote under a variety of pseudonyms - Pierre Alonzo, Ace Aquila, Brad Everson, Lafcadio Lee, Kermit Lundgren, Shane O’Shea, Greg Olivetti, Kurato Osaki, Pierce Rand, Bob Standish and Zev Zimmer - but whose real name was Leo Rosenbaum (1909-74). 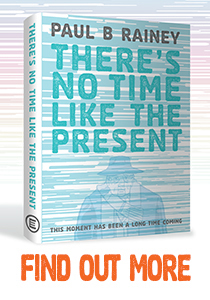 Vance gathers a wealth of first-hand anecdotes and memories, recalls some of their cleverest stories and appraises their roster of writers and artists. 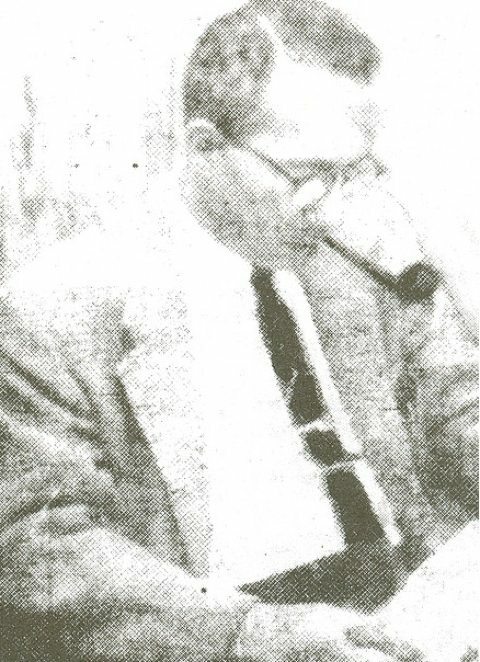 From Vance’s studies of his personal papers, Hughes is deservedly given much of the credit for ACG’s high standards in almost every genre. 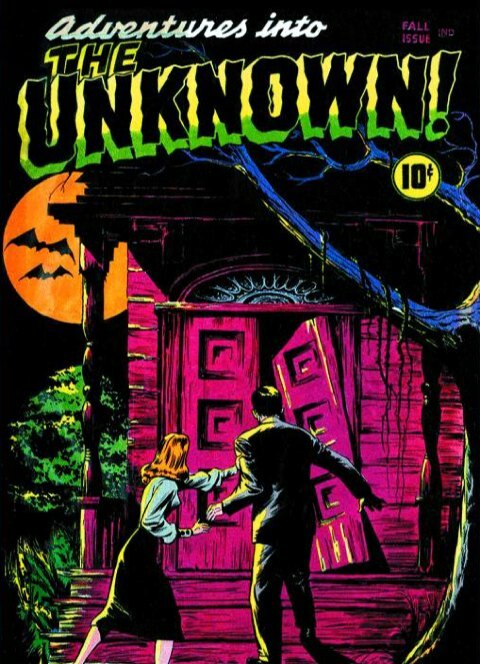 Vance also reveals other surprising ACG scripters, including famed novelist Patricia Highsmith, whom he identifies as writing for them in 1946, and author Frank Belknap Long, the writer of the whole of Issue 1 of Adventures into the Unknown. 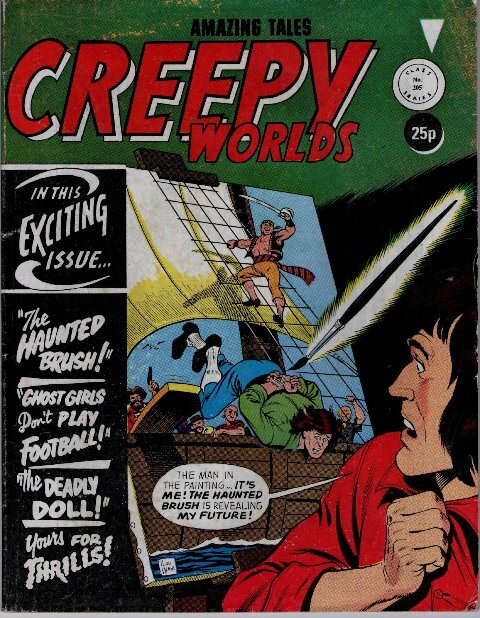 This led the field in 1948 as America’s first regular horror comic, well over a year before EC Comics introduced theirs. The artist I most associate with ACG is the great Ogden Whitney. Little is known of him. A sensitive, troubled fellow, it seems, Whitney became an alcoholic and died in tragic obscurity. 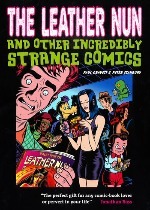 He left us some masterful visual storytelling, famously on his serenely surreal Herbie, which Peter Stanbury and I of course included in our book The Leather Nun and Other Incredibly Strange Comics in 2008. Another artist, Kenneth Landau, is easily mistaken again for the film and TV actor Martin Landau, also known to have drawn comics. Mark Evanier has clarified in a recent Comics Buyer’s Guide interview with the actor that these are two different Landaus. In fact, Martin assisted Gus Edson on "The Gumps" newspaper strip. That misattribution aside, Vance has produced a lovingly detailed and entertaining 160-page chronicle, let down really only by its high price (standard for an academic hardback - you could always try getting your library to order it) and by its one single illustration (even the front cover is black and blank apart from the title and author credits). 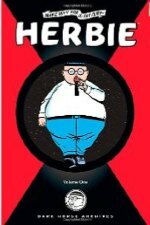 The good news, however, is that the text of Vance’s whole book has subsequently been reprinted with plentiful images in the much more affordable Alter Ego #61 in 2006, still available from TwoMorrows Publishing. In fact, Schenkar discloses that “...the truth was much stranger and seven years longer than the little misdirection she gave to the press.” The biographer emphasises that Miss Highsmith, a meticulous archivist of every detail of her own life for future posterity, “removed all traces of her lengthy comics career from her own archives.” WIth help from collectors and researchers and access to correspondence, among the comics and characters now identified as having bee scripted by Highsmith are: Black Terror, Pyroman, Fighting Yank, The Destroyer, Sergeant Bill King, Jap Buster Johnson, The Human Torch, Crisco and Jasper, Real Life Comics, Spy Smasher, Captain Midnight, Golden Arrow, and more. Schenkar digs still deeper and interviews ACG bullpenner and top-class illustrator Everett Raymond Kinstler who conjures up vivid memories of Highsmith and her interactions with Richard Hughes. Others at ACG like artists Bob Oksner and Dan Gordon and writers Gerald Albert and Leo Issacs recall her and, in several cases, their various crushes on her. It transpires that Highsmith worked full-time there for a year, and then freelanced for them and several outfits for a further six. 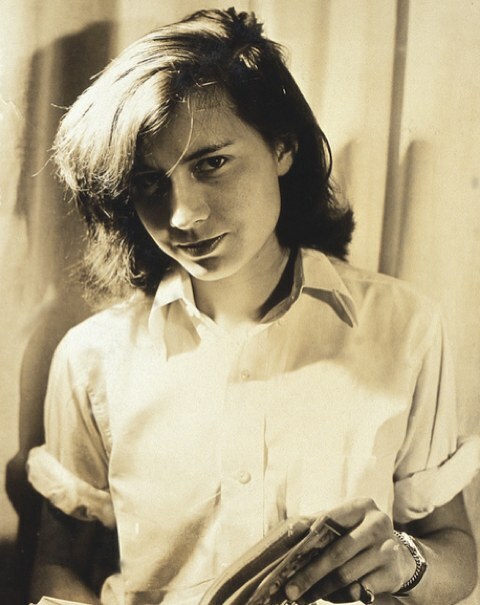 The Talented Miss Highsmith places this substantial part of her career into its context and its proper significance and relevance to her overall oeuvre. We may never know precisely which stories Highsmith scripted for ACG, but to sample these comic books for yourself, I would refer you to the original issues, now highly prized and priced collectors’ items, and to assorted reprints. 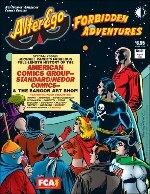 You could rummage for Roger Broughton’s A+ line and his revived ACG (now "America’s Comics Group" from Quebec, Canada!). 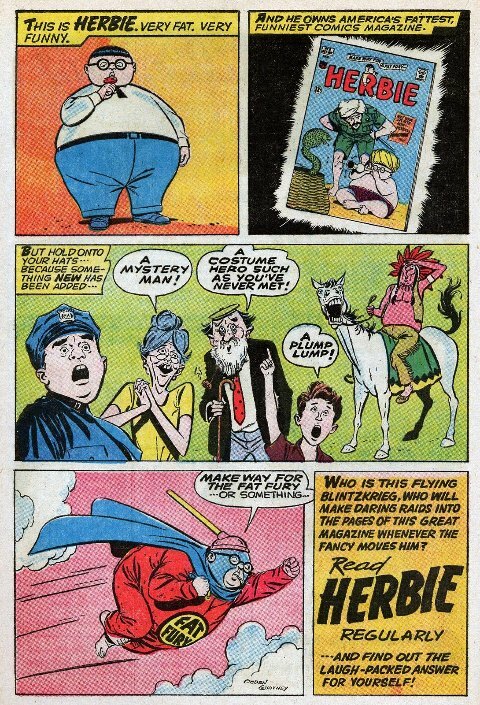 Dark Horse are doing several ACG Archives, including the essential three volumes of the complete Herbie Archives. 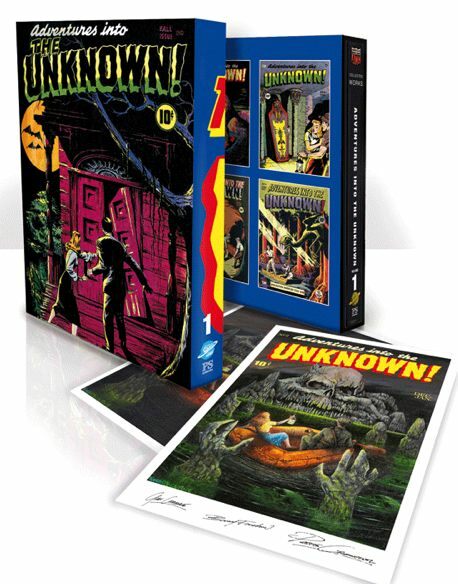 Best of all, British outfit PS Art Books are releasing superb-quality volumes in hardback and slipcased editions (some with signed prints) of the complete Adventures into the Unknown (above), Forbidden Worlds and Out of the Night, as well as a range of Harvey horrors and other pre-Code classics to come, with impeccable design and restoration. And of course, at the other end of the production-quality spectrum, you can always go back to those lovely old Alan Class newsprint reprints in black-and-white, lurking out there somewhere, waiting to be read again and again. This article originally appeared as a book review in Comics Forum Magazine in 1998.